Bluegrass music is a form of American roots music, and a related genre of country music. Influenced by the music of Appalachia, Bluegrass has mixed roots in Irish, Scottish, Welsh, and English traditional music, and also later influenced by the music of African-Americans through incorporation of jazz elements. Bluesgrass Blitz consists of Eric Wiggs, Natalie Koob, Chris Elliott, Nick Amodeo and Mark Diamond, all well known players in the acoustic music scene. 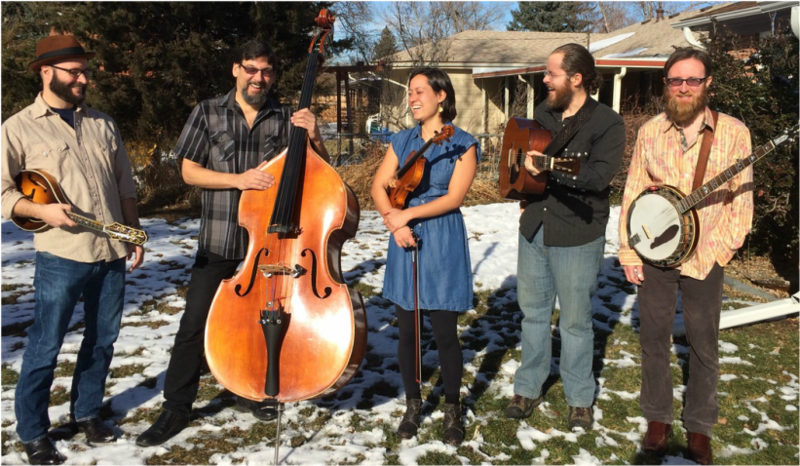 The band features great picking and singing and will create a warm, lively, Colorado vibe for your event! ​.